Register for these two webinars and SAVE! Purchase both of these upcoming webinars for only $29* with coupon code RECIPE29. Both webinars must be in your shopping cart in order to apply the coupon. *CE Club members can purchase both parts for just $20—no coupon required! All media channels are eager to receive recipes created by RDs. Developing recipes for distribution through these channels is an effective and exciting way to grow your brand, advance your career, and reach a broader audience. But, recipe development is much more than just creating a delicious recipe. Not only do you have to develop an idea "from scratch," you also have to test and standardize the recipe, as well as perform a nutrition analysis. This engaging webinar, led by Alexandra Caspero MA, RD, CLT, RYT, includes an A-to-Z guide on how to develop successful recipes for blogs, social media, print, food service, and consumer outlets. 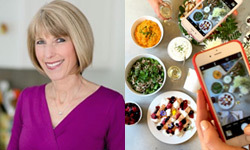 Designed for food and nutrition bloggers as well as dietitians who use print and online newsletters, Facebook, Twitter, Instagram, or Pinterest to educate consumers, this webinar provides instruction for taking delicious and nutritious smart phone food photographs and for sharing them via social media networks. The webinar emphasizes the importance of using natural light to capture beautiful food photos, basic composition guidelines, styling techniques and prop selection, and simple yet powerful post-production editing insight. 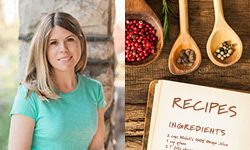 Over the years, our presenter has spoken to thousands of fellow dietitians about her journey in social media and best practices for blogging, and given workshops on smart phone food photography and recipe writing basics for RDs. Liz is a strong believer than consumers will eat healthy foods when they look good and taste great, and that's exactly what she aims to discuss with all of you during this webinar. Visit CE.TodaysDietitian.com/Webinars for Learning Objectives, CDR Learning Needs Codes, Performance Indicators, and credit claiming.